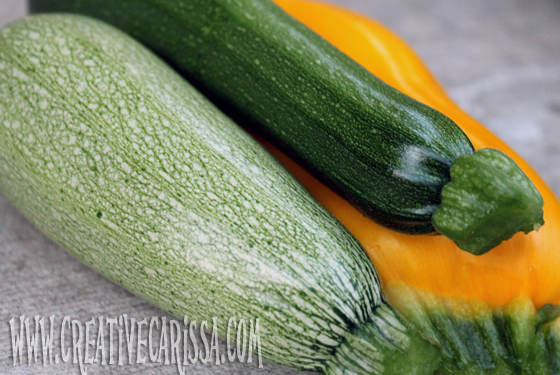 Is your garden being overrun with zucchini? I know mine is! This is my first year in the community garden and for some reason I thought it would be a great idea to have 14 zucchini plants (to my credit I was originally going to have 7 but then someone gave me 7 more. Can't let a good plant go homeless!). But let's talk about my over zealous nature and inability to tell when too much is too much later. Right now, we have very important things to discuss, like : What in the world to do with all that zucchini? And how to get your kids to eat it (and like it)? 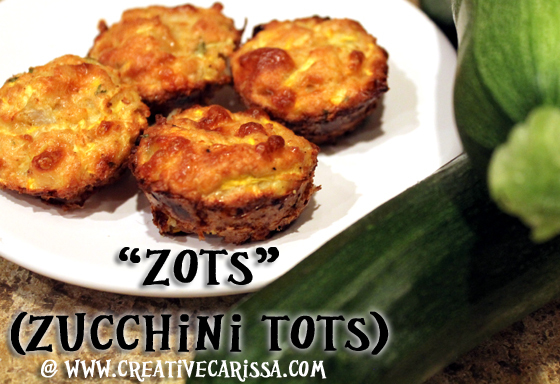 I have one word for you: Zots. 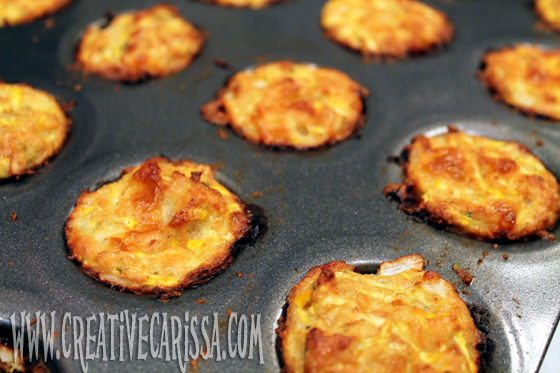 There is a very popular post floating around on Pinterest right now from Curious Country Cook which I used as my starting point and this is where I landed. So grab a zucchini and come with me and I will teach you the ways of the zot making ninjas. 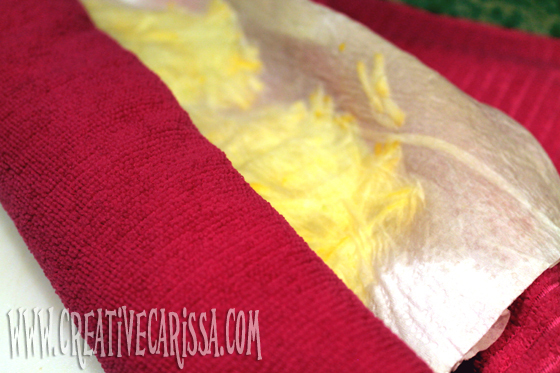 Lay out a clean kitchen towel on the counter. Place a layer of paper towels on top. Spread the zucchini shreds on the paper towel. Place another layer of paper towel on top. Pat down to initially absorb moisture. If the paper towel soaks through, trade out for another one. Now, start at one end and roll the zucchini up in the kitchen towel. Press down the length of the roll to absorb as much water as possible. Unroll and place the zucchini shreds in a medium size bowl. 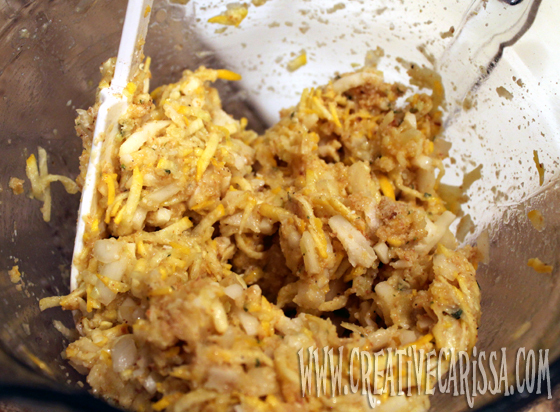 Add the rest of the ingredients into the zucchini shreds. Mix it up. 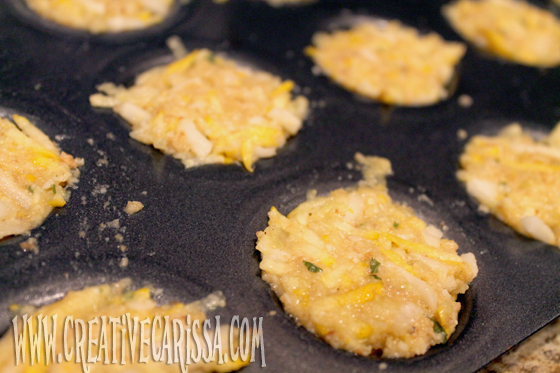 Grease a 24 cup mini muffin tin. 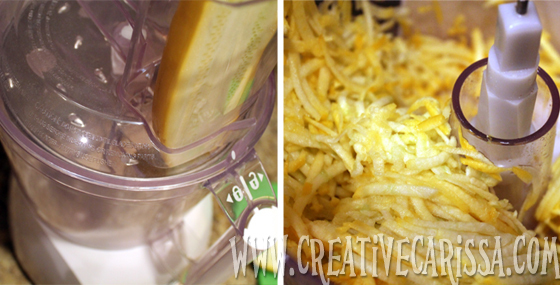 Spoon or scoop zucchini mix into the wells and press down to fill the well all the way up. Bake the zot mix in your 400 degree over for 18-20 minutes until set and brown and very tasty looking. 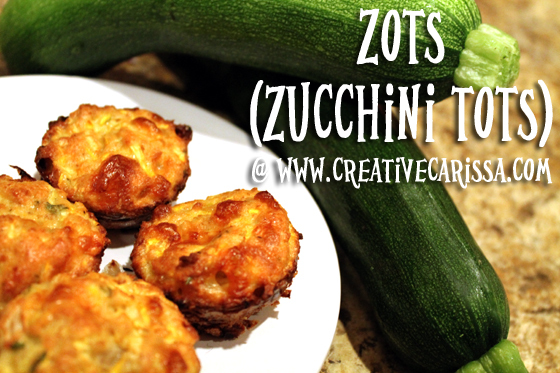 Serve warm with ketchup or ranch dip and watch your kids and hubby gobble up the zucchini filled goodness.